Just as with film, some older stage comedies easily stand the test of time. Nobody objects to a new, albeit period, production of “Harvey” or “Arsenic and Old Lace” because they are genuinely funny. The same is true for less-often revived works as well, as long as they are approached as if new – that is, approached with the same zest that performers would give a brand new joke. The rule of thumb is, always, that one cannot expect something with a long reputation of being entertaining to continue to be so without human energy and commitment. This is hard on less experienced performers or companies, where some performers may let the script drive the show while others are more in charge. 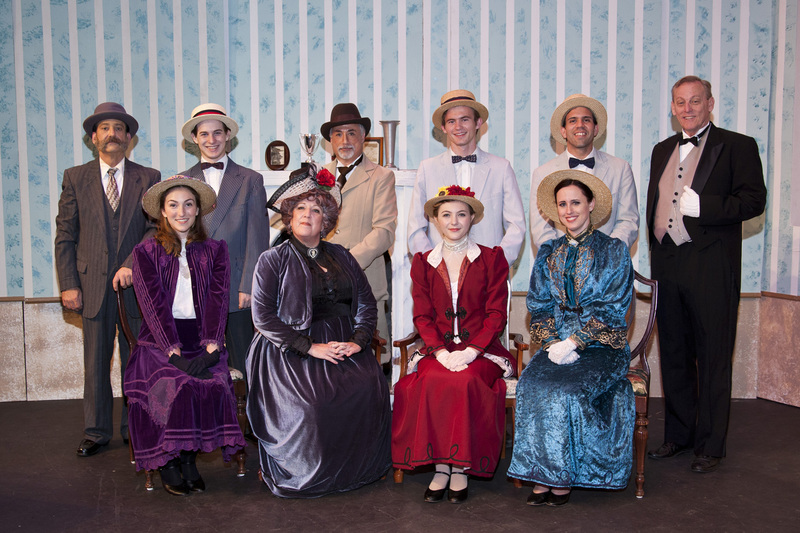 Take, as an example, the production of “Charley’s Aunt” at the Whittier Community Theatre. The silly, cross-dressing comedy has been beloved for over 120 years, having originally opened in London in 1892. As such, the wit has the same formality one hears in Oscar Wilde, and comes from the same ethos. Yet, the humor reaches the audience through emotional connection and vitality in the playing of it. At Whittier, this verve is unevenly present. A little charging up of a few characters is almost all that is needed for the piece to shine. The story has a good foundation for humor. Jack Chesney and Charley Wykeham, two Oxford undergrads, have fallen in love. The objects of their affection, Kitty and Amy, are the niece and ward of a stuffy solicitor who would never see his way to letting the girls be alone with two college men. Fortunately, on the date they hope to meet for lunch, Charley’s benefactor and aunt – whom he has never met – is due to arrive. Then she doesn’t. 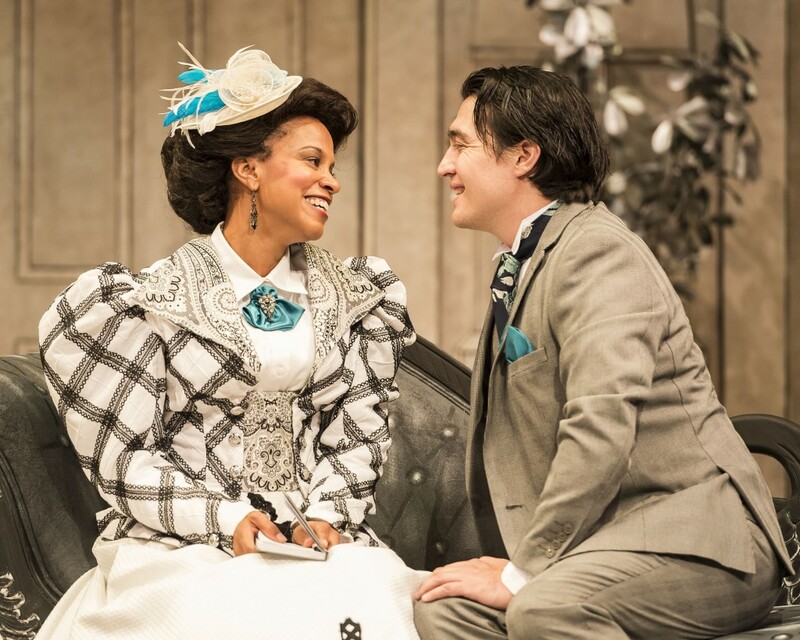 To keep the tryst from dissolving, the boys talk fellow student Lord Fancourt Babberley into dressing up as an old woman and playing the wealthy, widowed aunt. The plot thickens as the solicitor, as well as Jack’s father, both make plays for the elderly woman in order to solidify their fortunes. And then, of course, a very aunt-like woman arrives with her own ward in tow. Let’s face it, a guy dressed up as a woman but wanting to be a guy is just funny. 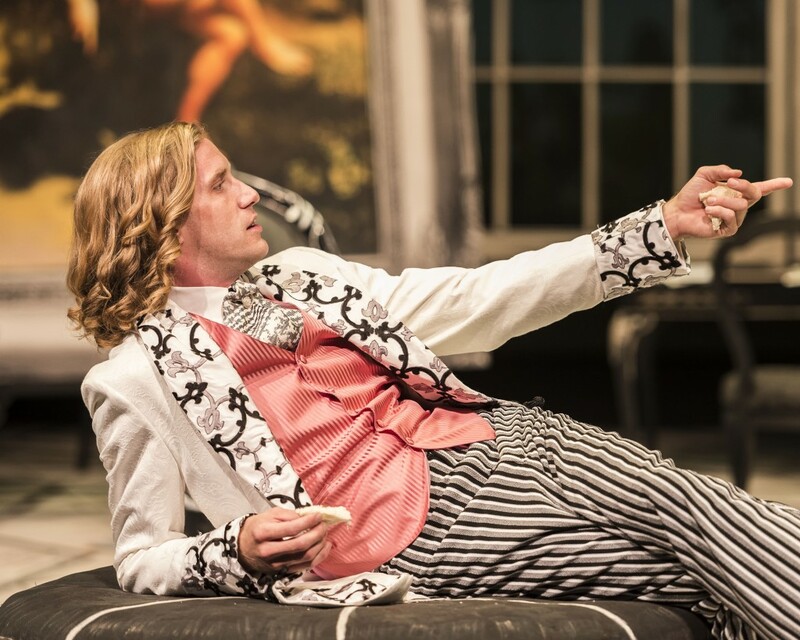 Kieran Flanagan, as the increasingly reluctant Lord Babberley is absolutely the best thing in the WCT production, in part because he has all the best bits. Andrew Cerecedes, as Charley, does frustration and panic very well, and Austin Sauer, as Jack, certainly looks the part of an Oxford man, though he sometimes needs to evince a bit more excitement. Anthony Duke does well as Jack’s proud but somewhat impoverished father. Tim Heaton plays the solicitor as such a dunderhead it all ends up in a comic “sameness.” Jim Gittelson as Jack’s “scout” or in-house servant should be tying everything together with lively commentary about his betters, but instead sometimes slows the action down with his formality. Nancy Tyler as the mysterious arrival, brings the speed back up, and Jasmine West, Amanda Riisager and Louisa Brazeau play the sweet innocent young ladies to the hilt. Which is all to say that, at its core, this is a fine production. It just needs a little juice. Tightening and energy will bring it back to the level people have been laughing at all these years. Director Roxanne Barker has a long history in community theater, and knows how to make that happen, but needs to make certain that it does. One possible issue, at the start, has to do with the set, whose design is uncredited in the program. The standard housing of an Oxford man at that time would have been comparatively cramped, but in a noble attempt to create a set allowing a series of very quick changes, Jack’s is vast – and the humor to be gained with a small space full of panicky young men is lost. On the other hand, the set’s two other aspects work well with the script, so perhaps that is the gain to this particular loss. In a positive note, a strong nod goes to Lois Tedrow who once again supplies a host of reasonably period costuming. 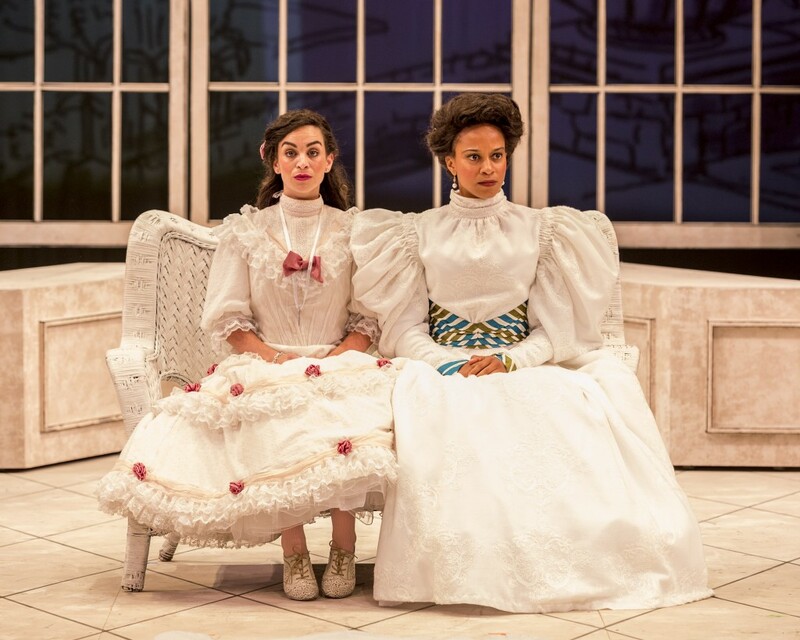 In the end, “Charley’s Aunt” is long for a modern theater-going audience, but the WCT production is often quite engaging. A bit more zip and the evening will fly by. In general, it is good to see a play which has been so loved for so long up on its feet again. And that may be one of the purposes of a place like Whittier Community Theatre – itself the oldest continually operating community theatrical group west of the Mississippi River. In that vein, one must also tender respect for WCT’s recent loss. Deac Hunter, who was busily playing supporting roles onstage as recently as this season, passed away in March at age 92. A longtime WCT member, he was the kind of person community theater is built on. If you go to the performance, look for a lovely remembrance in the program. Even as just an audience member, I will miss him.